Image by Olu Eletu via Unsplash. But focus on them too closely and you have the marketing equivalent of a one-night stand; you lose customers and sales because your lead gen is geared towards scoring a conversion without any mind paid to building long-term relationships with customers. 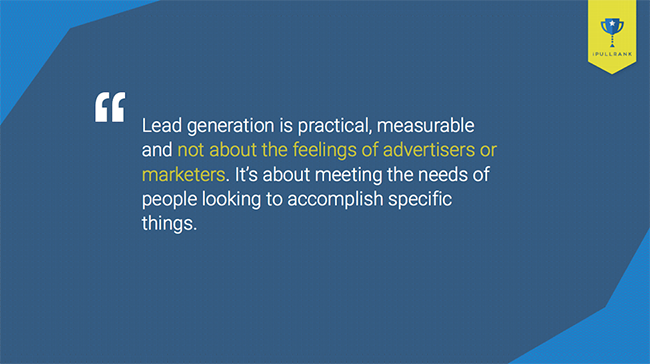 At Unbounce’s Call to Action Conference, Mike King of digital marketing agency iPullRank told us the truth about lead generation: it isn’t about us and our need for more conversions. It’s about our audience and their needs for our solution. Source: Mike King’s CTA Conf Presentation. There are different rates of visitation based on different personas. Also, different personas convert at different rates. Understanding which pockets of those audiences are most valuable to you is going to allow you to do lead gen effectively. 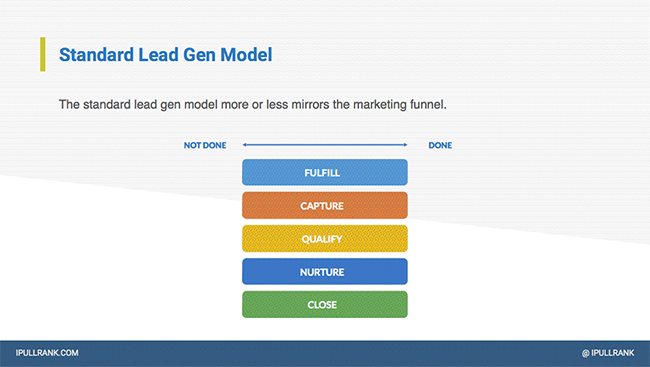 How many of you treat lead-generation like a to-do list, giving every step the same priority? Source: Mike King’s CTA Conf Presentation. You don’t want to get to “done.” You want to get all your steps as close to “fulfilled” as possible. And no, you shouldn’t be putting the same amount of effort into each step. If you spend more time on “nurture,” you shouldn’t have to spend as much time on “close.” Source: Mike King’s CTA Conf Presentation. And he wants you to use data-driven personas to drive that transition. 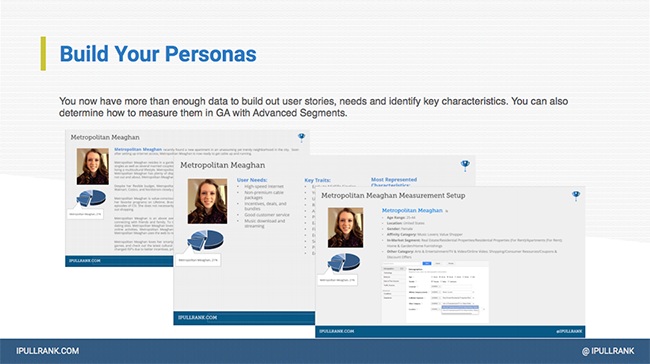 Read all about how King builds personas below (or watch the presentation recording here). 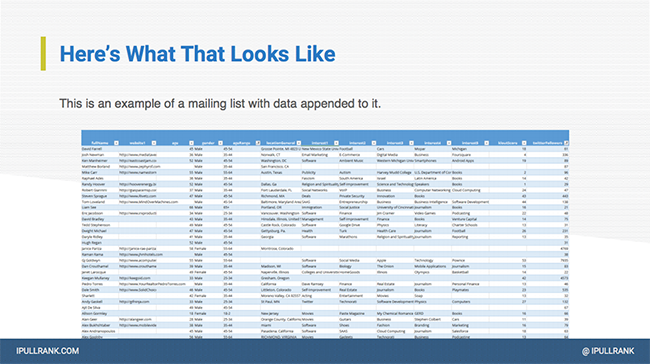 If you’re doing lead gen, then you’re likely also building a mailing list. But King explained that you can take things a step further with services like FullContact, which allow you to collect more enriched data on contacts, such as age, social profile info and other details. With that information on hand, it’s time to go even deeper. 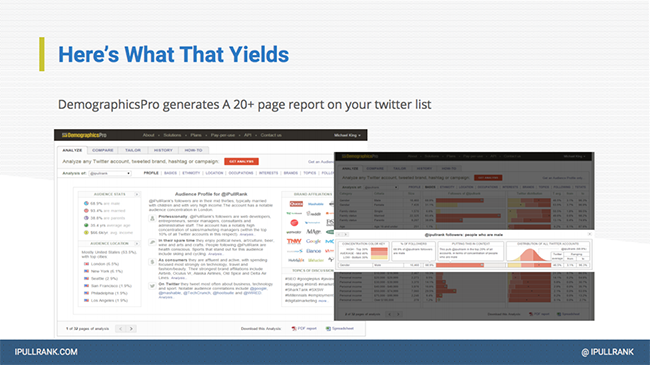 FullContact connects the names on your mailing list to their Twitter handles, Mike explained, so grab those handles and drop them into a social analytics site like DemographicsPro. Once you’ve got mailing list and Twitter data, it’s time to collect Facebook data through the site’s Audience Insights feature. The best part about Facebook Audience Insights? You can use it even if you don’t have a very big mailing list yet, and even if you don’t have a lot of information about your prospective customers. No matter how sophisticated your lead generation strategy is, you can still use Facebook Audience Insights to learn more about what your leads actually want. 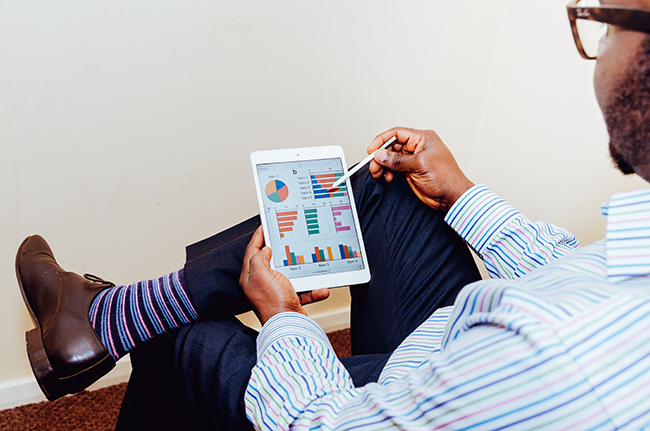 Use Facebook Audience Insights to learn more about what your leads actually want. Acxiom divides users into categories like “Apple Pie Families” and “Savvy Singles.” Source: Mike King’s CTA Conf Presentation. 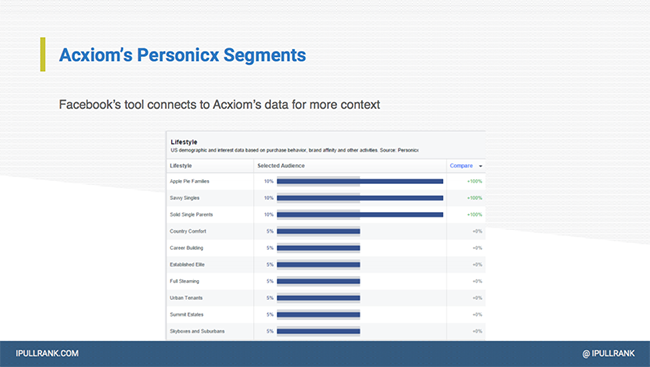 Acxiom’s Personicx service helps predict your customers’ behaviors, which in turn helps you target your marketing. Google Analytics’s demographics include a lot of unknowns, which means it is not necessarily the best tool to capture demographic data — that’s why King likes to use a combination of other services to build his personas — but it’s still a smart idea to compare what you learn about your customers against the way they behave when they visit your site. 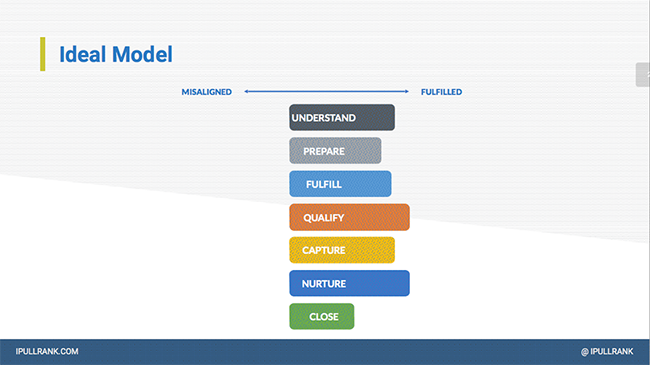 At this point, if you’ve completed Steps 1-4, you have the information you need to create a data-driven persona. 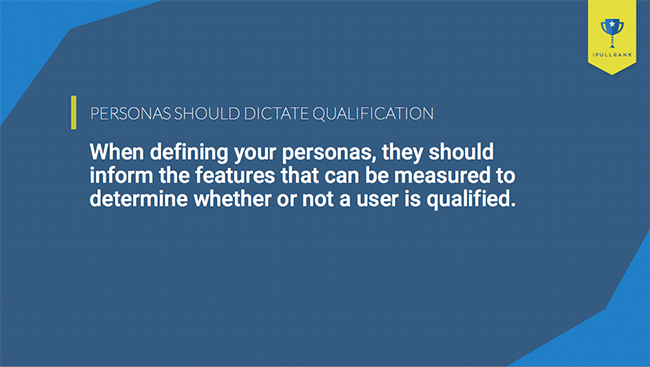 Creating personas is worth an entire article on its own, so let me direct you to Unbounce’s guide to creating personas and integrating them into your landing page. Use all of the detail from your data collection to build out your personas and make them as much like a fully fleshed person as possible. Once you create your data-driven personas, how do you turn that model into an effective lead generation campaign? The effectiveness of any lead generation campaign comes down to your “hook.” Personas help you tailor that hook and measure segmented performance. In other words, you want your marketing campaign to stick in your customers’ minds just like they were listening to a rap hook. You want your marketing campaign to stick in your customers’ minds like a rap hook. From there, it’s a matter of figuring out where to distribute your acquisition budget, based on where your personas are, what their needs are and how you’re using your hook to meet those needs. And that’s all there is to it. Sure, you have to do the work of creating and testing your hook, and you also have to nurture your leads once you’ve qualified them, but you’re already so much closer to long-term customer relationships than you were when you were working the standard lead generation model and hoping to collect one-night stands. So start thinking about data-driven personas, and how to use data-collecting tools to make your lead generation better. It’s worth putting in the time to help make sure your new customers are ones that are going to stick around. 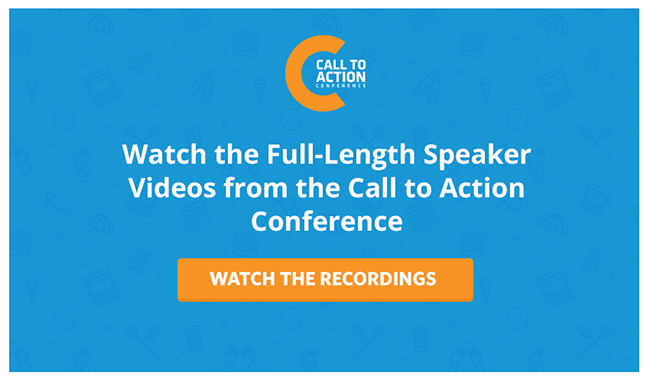 Watch Mike King’s full talk, How to Generate Those Leads All Day, Everyday, and then let us know: How do you create personas? Are you going to implement any of King’s tips to improve your personas and your lead generation?